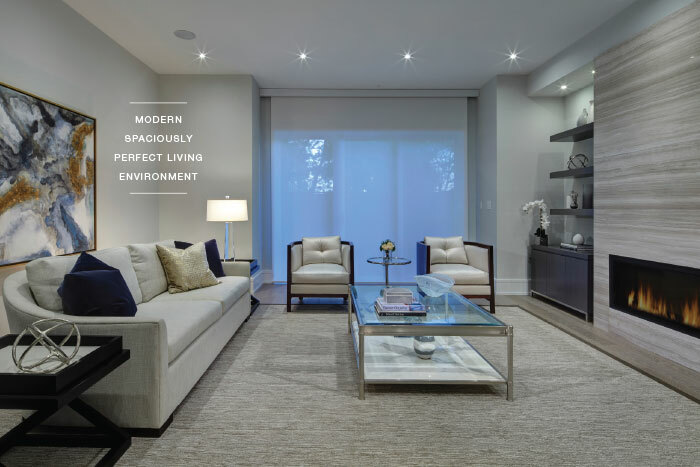 An elegant play on the overused luxury townhome label. 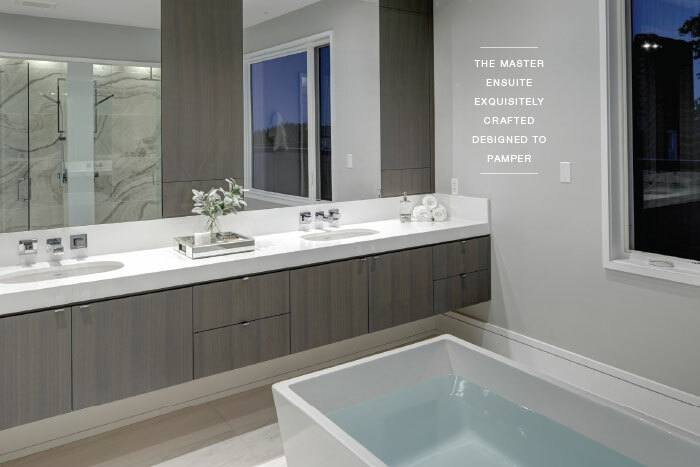 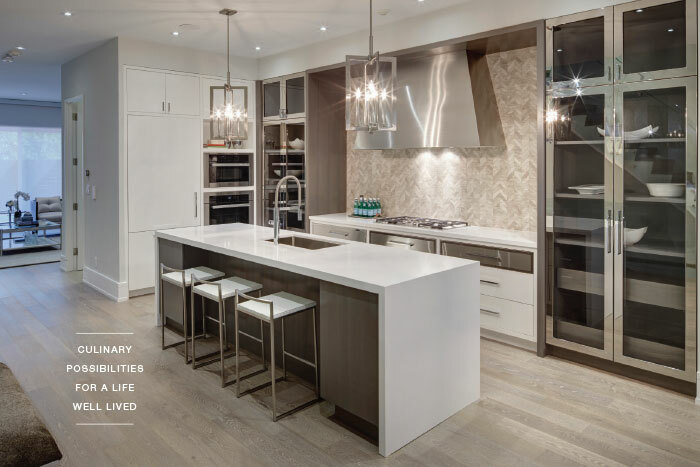 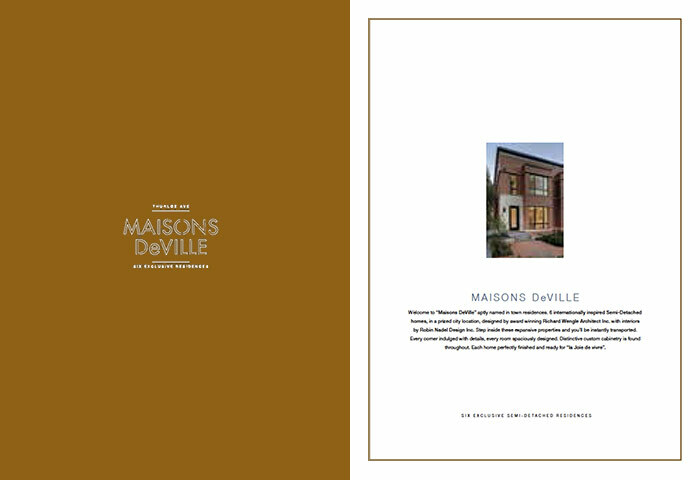 Maison DeVille with its in town location, sophisticated design and inspiring architecture required a strong positioning statement to sell $3 million dollar homes in a neighbourhood of $1.5 million dollar re-sales. 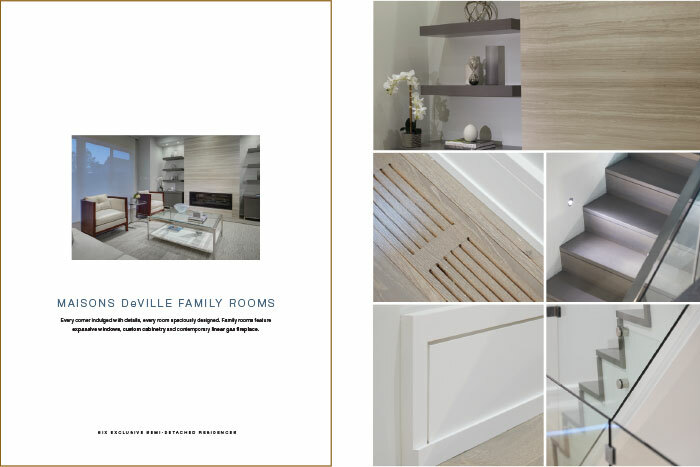 Art directing an Architectural Digest style photo spread was pivotal in conveyed the lifestyle details of these modern classics.